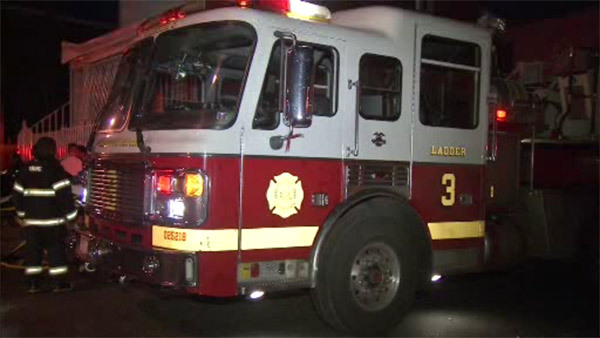 KENSINGTON (WPVI) -- Fire officials are investigating a house blaze that injured two people in Philadelphia's Kensington section. The fire started after 8 p.m. Thursday on the 3000 block of North Lee Street. Crews arrived to flames showing from a 2-story dwelling. Firefighters placed the blaze under control in less than fifteen minutes. Two people were injured and taken to Temple University Hospital for treatment. There is no immediate word on their conditions.